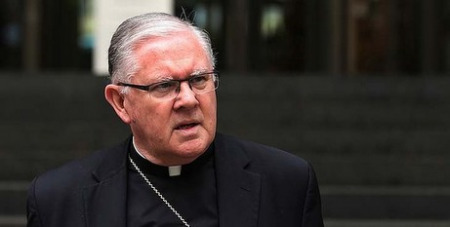 Archbishop Mark Coleridge says if the idea of allowing divorced and civilly remarried Catholics to return to Communion were put to a straight vote in the Synod right now, it would probably lose by a margin of 65% to 35%, reports Crux. Archbishop Coleridge stressed that his estimates of how a hypothetical vote might break are simply “intuitions,” and that things could change before synod’s end. He also emphasized that ultimately the only vote that matters belongs to Pope Francis, since the synod’s role is simply to make recommendations. Archbishop Coleridge said that if the question on the Communion ban were rephrased to allow local bishops or bishops’ conferences to make decisions for themselves, the split among the 270 bishops taking part in the Synod might be closer to 50/50. Archbishop Coleridge also said there’s strong support in the synod, something on the order of 70/30, for a “less condemnatory” language about gays and lesbians. Although Archbishop Coleridge, 67, did not take part in the first Synod of Bishops in October 2014, he does not lack for Roman seasoning. He studied at the Biblicum, the prestigious Jesuit-run institute on scripture, and later worked in the all-important Secretariat of State. Archbishop Coleridge sat down on Wednesday for a talk about this year’s three-week Synod.